In the largely unregulated world of dietary supplements, it's like the Wild West. Dramatic claims abound, most of them unsupported by evidence, and it's hard to know if any of them can be trusted. 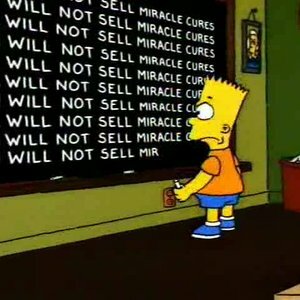 Supplement manufacturers claim their products cure cancer, Alzheimer's disease, arthritis, and more. They promise miraculous weight loss results, nebulous "boosting" of your immune system, and anti-aging benefits. Once in a while, though, they get caught. This week the U.S. cracked down hard on several of the more egregious offenders, announcing indictments against half a dozen supplement makers, including criminal charges against one. It's about time. Consumers everywhere should applaud these actions and encourage more. Here's what happened. "lol stuff is completely 100% synthetic." "they [USPlabs] promised the FDA and the public that they would stop distributing the product at issue. They didn’t. Instead, they undertook a surreptitious, all-hands-on-deck effort to sell as much of the product as they could." Clifford Woods LLC illegally sold Taheebo Life Tea, Germanium, and Organic Sulfur as treatments for Alzheimer's and cancer. Optimum Health (aka Lehan Enterprises) illegally sold a product called DMSO cream for arthritis and cancer. Regenica Worldwide (aka Vivaceuticals) illegally sell their RegeneSlim as a disease cure, and in addition RegeneSlim contains DMAA, an unsafe food additive under the federal Food, Drug and Cosmetic Act, but does not declare DMAA as an ingredient. Just to be clear: none of these violations have yet been proven in court. But to be even more clear: none of these products treat or cure cancer, Alzheimer's, arthritis, or any other disease. "In ads for W8-B-Gone, CITRI-SLIM 4 and Quick & Easy diet pills, the defendants featured bogus weight-loss experts. Citing fake scientific studies, the defendants also deceptively claimed to have clinical proof that consumers would experience a 'RAPID FAT meltdown diet program' that lets them shed five pounds in four days with one pill, or up to 20 pounds in 16 days with four pills." Needless to say, none of those products deliver the results they claim. "OxyELITE Pro shows no side effects in well over 99% of its users. In fact, USPLabs and GNC have stated that there’s been over a billion servings of Jack3d and Oxy ELITE Pro safely taken with no problems!" "SSRIs have been associated with serious side effects including suicidal thinking, abnormal bleeding, and seizures. In patients on other medications for common conditions (aspirin, ibuprofen, or other drugs for depression, anxiety, bipolar illness, blood clots, chemotherapy, heart conditions, and psychosis), ventricular arrhythmia or sudden death can occur." Caveat emptor: these supplements might contain harmful ingredients. There's only one safe way to take supplements: ask your physician. Unless your doctor specifically recommends one, stay away. You'll feel better and your wallet will benefit too. Homeopathic drugs contain some pretty strange ingredients. These drugs (or perhaps I should call them potions) come in ordinary-looking packages, apparently designed to look just like real medicine, but they are not. Inside the bottles are concoctions of a wide variety of plant extracts and other substances, almost none of them effective for what’s written on the package. This week I was browing the headache remedies at CVS, and I encountered a treatment I hadn’t seen before: Nova Headache Complex. It’s an expensive homeopathic remedy, advertised at $16.29 for a 50-ml bottle. Because homeopaths and their treaments are unregulated, Nova can sell this stuff without having to prove that it has any effect at all on headaches. We can thank Congress for that: ever since 1938, when a homeopathic member of Congress passed the first law protecting them, homeopathic manufacturers have been allowed to forgo any testing to show that their products are safe and effective. And who decides what is homeopathic? The homeopaths themselves. So: what does Nova’s Headache Complex contain? According to the package, it contains Aconitum Napellus 12X, Bryonia 12X, Cactus Grandiflorus 4X, Chelidonium Majus 6X, Cimicifuga Racemosa 6X, Sanguinaria Canadensis 6X, Spigelis Anthelmia 6X, Thuja Occidentalis 6X. Let's look at just the first of these. "When ingested, an intense burning feeling in the limbs and abdomen is immediately felt. In large doses, death can occur in as little as 2-6 hours. Only 20ml of pseudaconitine is needed to kill an adult human. 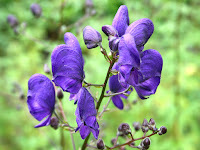 Its name comes the mythology that it was thought to keep away werewolves, hence ‘wolfsbane’." Wolfsbane has been used as a poison for thousands of years, going back to Roman times. Many young readers will remember it as the main ingredient in a deadly potion in the Harry Potter books. Coincidentally, exactly one year ago, a gardener in England died after accidentally brushing against some wolfsbane flowers. Yikes! How can they sell this stuff? Well, luckily for consumers, the 12X refers to an extreme dilution, in this instance equal to 10 raised to the 12th power, or 1 part in 1 trillion. The only reason people don’t die when they take Nova's Headache Complex is that there’s essentially no wolfsbane in it. Fortunately, most homeopathic “drugs” don’t contain any measurable amount of their active ingredients. That’s because homeopaths think that the more you dilute a substance–even to the point where not a single molecule remains–the more potent it is. This laughably foolish notion flies in the face of modern chemistry, biology, and physics, but homeopaths believe it anyway. What about the other ingredients? All of them are plant extracts, several of them also poisonous (including black cohosh and bloodroot). To avoid extending this discussion for many more pages, suffice it to say that none of these plants have been shown scientifically to cure headaches. Nova Headache Complex does contain one real ingredient: 20% alcohol. That’s quite a lot, much stronger than beer or wine. Slate.com's Yvette d'Entremont demonstrated on YouTube how one can easily get drunk from a few bottles of these homeopathic products. (She used CVS's homeopathic constipation cure, which fortunately has no effect at all on constipation.) This revelation prompted NBC4 in Los Angeles to investigate why CVS was selling alcohol to minors. Back to our headache "cure": fortunately, over-the-counter medicines such as ibuprofen, aspirin, and acetaminophen work very well for most people. If none of these work for you, drinking an alcohol solution laced with wolfsbane (or, to be more accurate, laced with nothing) won’t help either. The FDA is currently considering whether or not to modernize its regulation of homeopathic remedies. They’ve held a hearing and solicited public comments. Interesting, the Federal Trade Commission weighed in, arguing that the FDA's current lax rules “may harm consumers and create confusion for advertisers.” I’m skeptical that the FDA will step in any time soon, but one can always hope. Meanwhile, CVS will sell you wolfsbane for headache pain, but I hope that none of the bottles contain the deadly poisons listed on the label. If nothing else, at least you get a shot of overpriced alcohol.